← 81 White Birch Lane, Deer Isle, ME – Beautiful House has been SOLD! 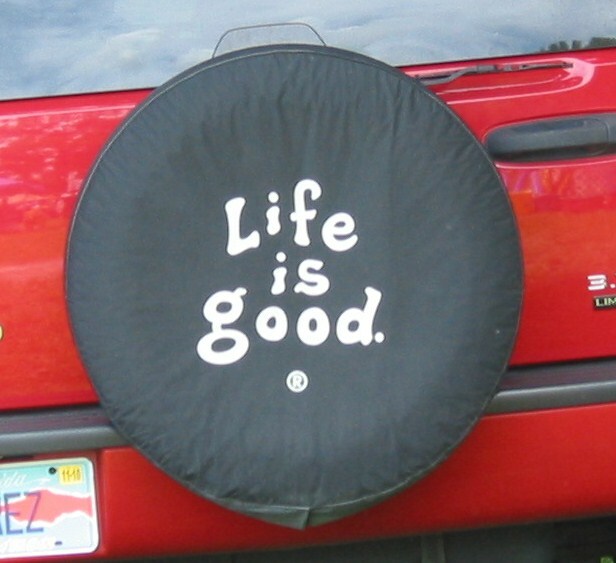 It is easy to be optimistic in a place that has beautiful sunny weather every day. 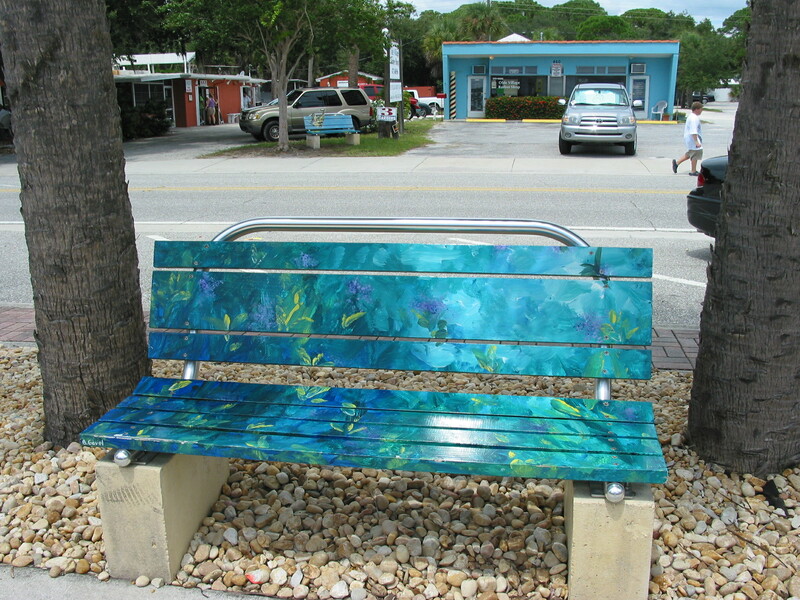 Summer in Florida is hot but our proximity to the ocean mitigates the temperatures with an ocean breeze. While we are busy with our new business and a growing clientale list, we still have plenty of time for adventures and for enjoying life. After a few weeks of rapidly growing business and what seemed like amazing results for our efforts, everything came to a screeching halt with the Labor Day holidays. It is ironic that we could find no labor on the day named for it and I admit to a bit of panic for a short time. However rather than moan and worry about it we decided to just go with the flow and enjoy the respite meanwhile hoping business would pick up again the following week. We mailed out more flyers and business cards and relaxed. Labor Day weekend featured Pioneer Days in nearby Englewood. 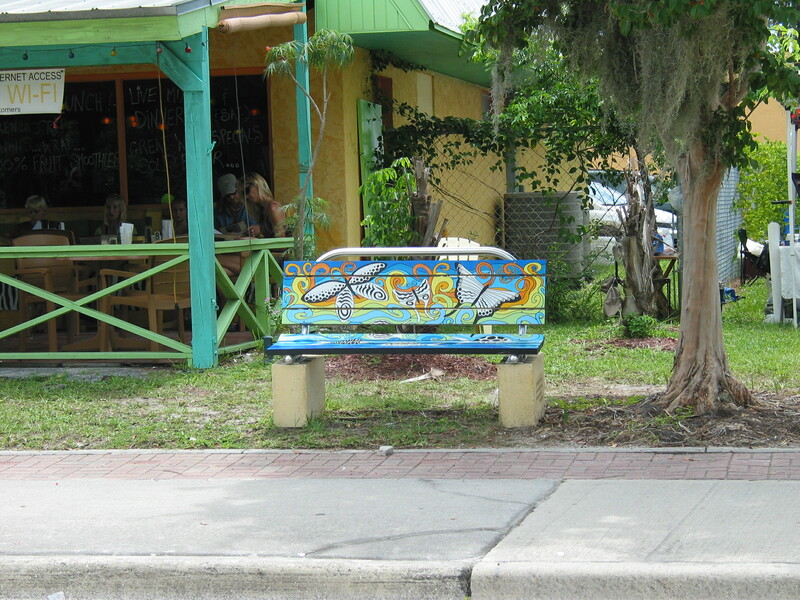 As we walked through the historic old town, I especially enjoyed all the painted benches along the street. These were conveniently and thoughtfully placed so one could sit and enjoy an ice cream on a hot day while people watching. We also decided to spend some time and a bit of money on landscaping. Our flat acre looks so barren compared to the forest we enjoyed in Maine. 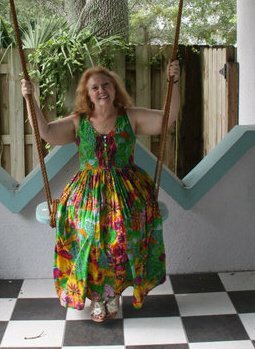 Inspired by a neighbor who swears she just sticks things in the ground and has a lush garden, I decided to try my hand at some Florida gardening. 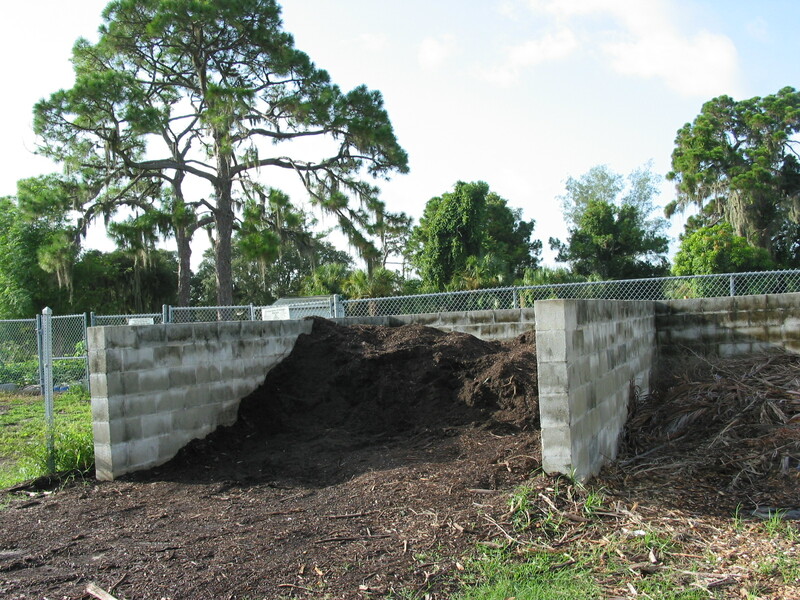 We are fortunate in that the nearby park has a huge compost pile. 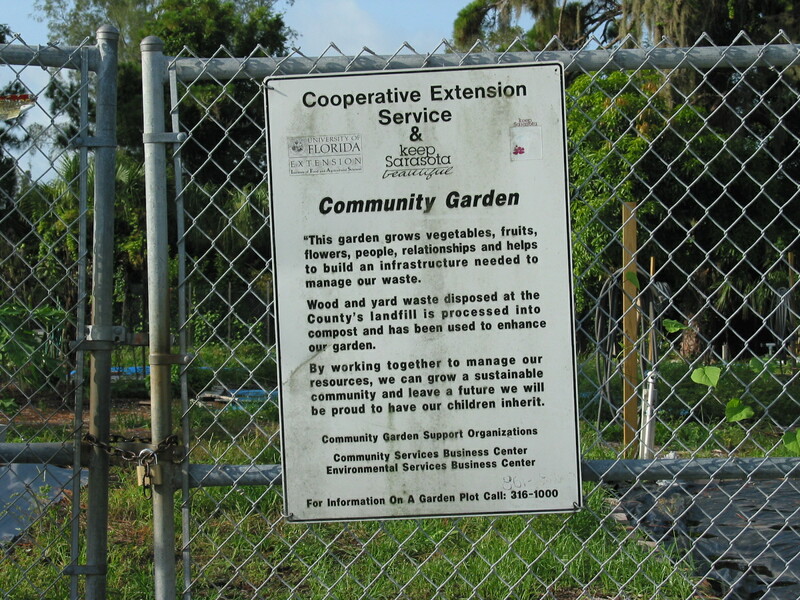 The local park is blessed with a large community garden there. With visions of having a bountiful fruit and vegetable garden on our own 1.2 acre plot, I began to move from dreaming to acting. Our land is primarily sand so we must augment the soil. One morning before it got hot we decided we should go get some of the compost. 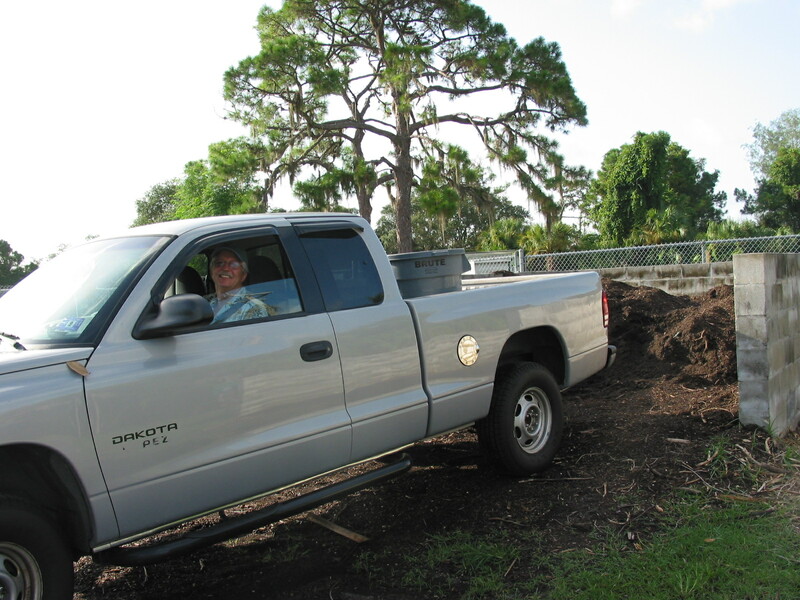 Bob brought Trevor’s truck and backed it up to the compost pile, handed me (!) a shovel and a trash can, and informed me this was after all MY project. 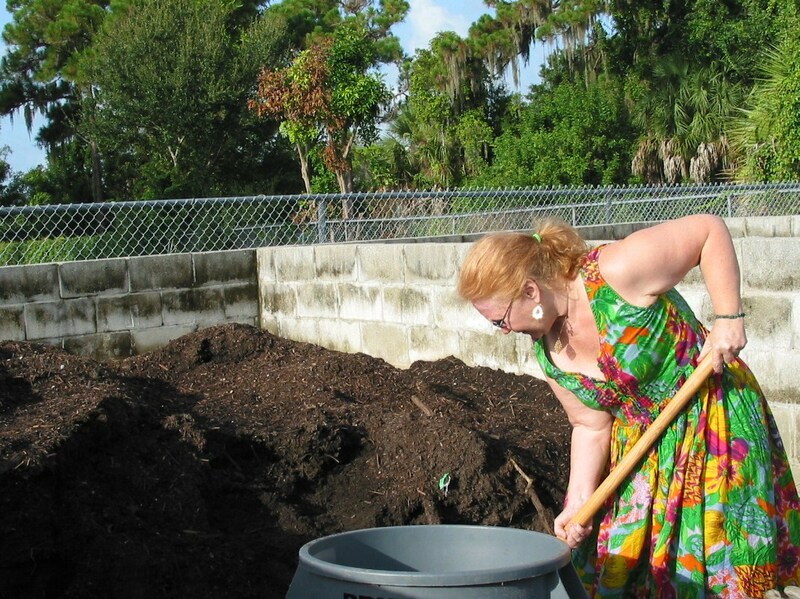 So here I am in my dress and my jewelry struggling with compost! After having a bit of a laugh, he took over and finished the job. 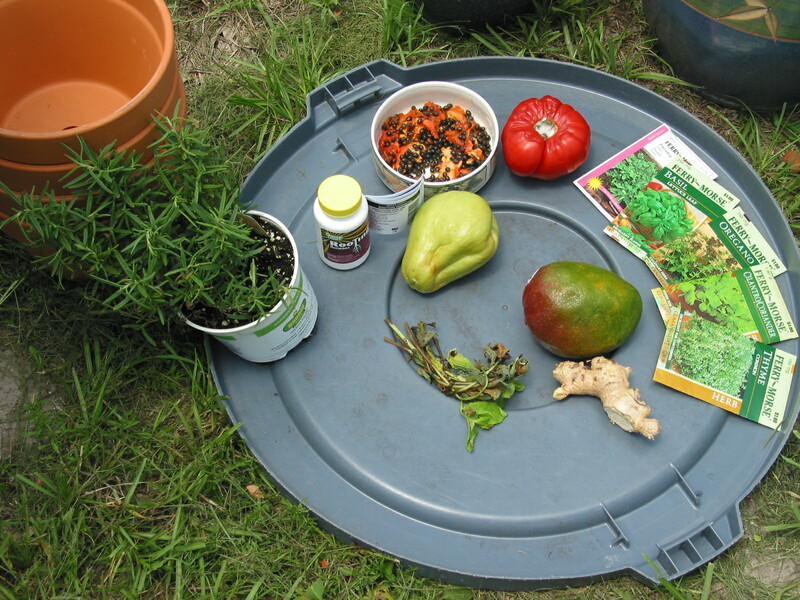 When we got home I laid out all the items I planned to plant. Some seeds, some things I had grabbed from the kitchen, and even a store-bought rosemary plant. Compost and organic soil, fertilizer, and root starter in hand I was ready for the experiment. 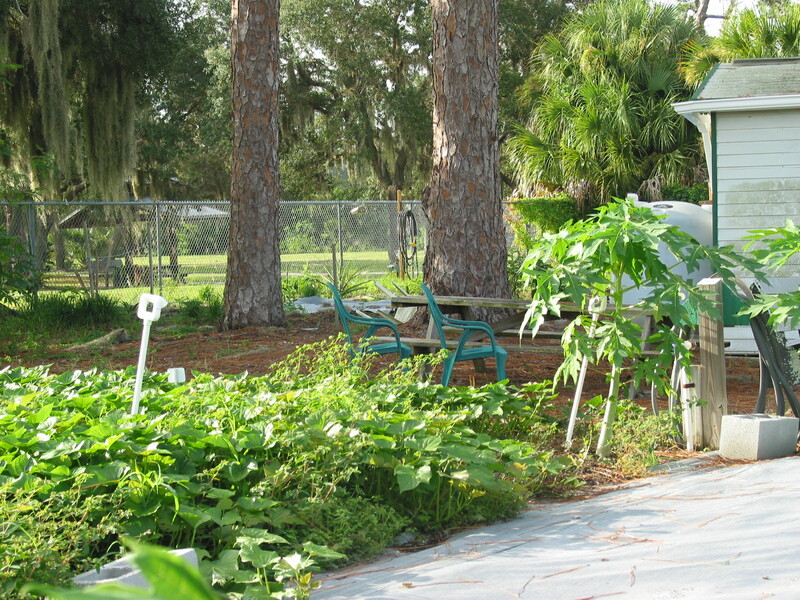 Will it really be possible to grow such exotics as chayote, papaya, and mango in my backyard? Time will tell. Spurred on with the gardening bug and a fabulous sale on hibiscus, we decided to fix up that barren plot in front of the house. We are adding plants little by little as I familiarize myself with the environment. One has to keep in mind what works where. Some plants are hardy and I’m going for these. I keep being told to buy small plants as they will grow rapidly in this state. 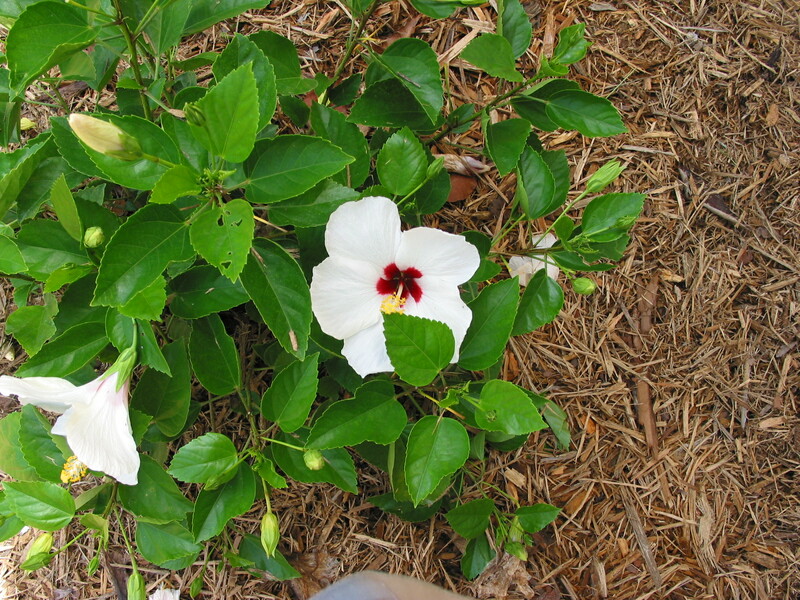 Of course I couldn’t pick just one color and had to have several varieties of hibiscus. 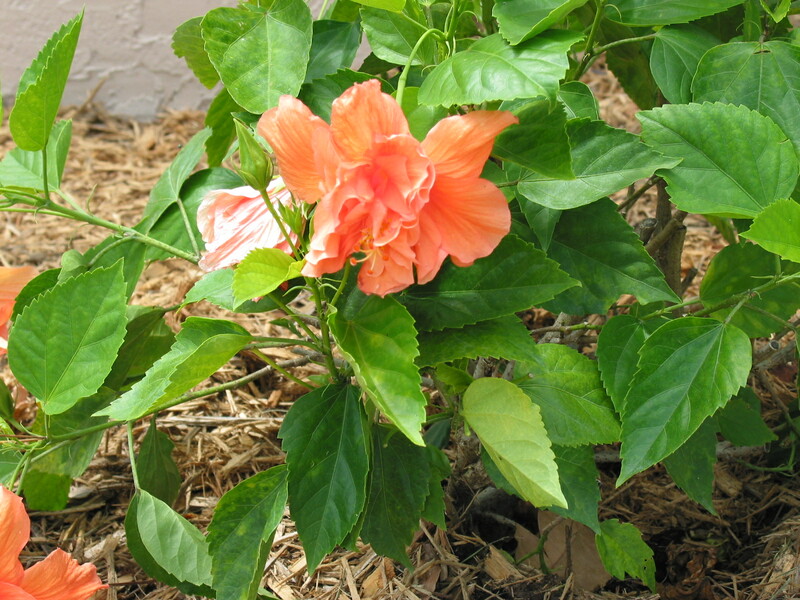 This plant seems to epitomize the tropics in general and Florida in particular. 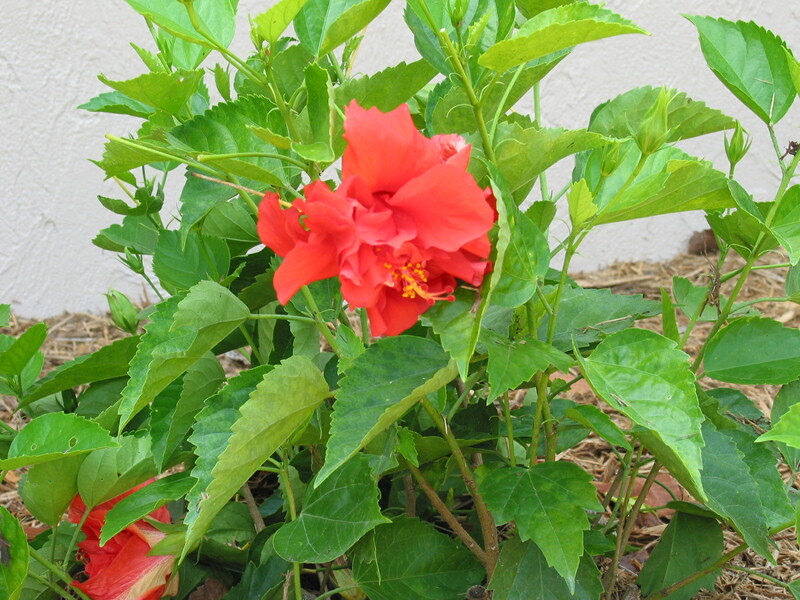 Everywhere we go we see the flashy hibiscus flowers. I can’t decide whether I like the double or single flowers so mixed and matched and delighted in both. Pat, the master gardener at Lowe’s in Sarasota was originally from New Jersey and understands the education I need to successfully raise plants here. 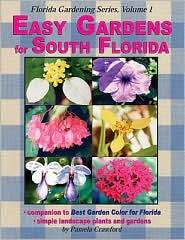 She has suggested books by Pamela Crawford, especially “Easy Gardens for South Florida”. This book is perfect for not only helping me find the hardiest plants for each area of our garden (shade, semi-shade, scorching sun) but also for suggesting ways we can help our garden survive the drought and rainy seasons . One of the things I enjoy most about this book is she suggests companion plants. The other book I’m depending on for inspiration and eye candy is a Sunset book, “Florida Top 10 Garden Guide”. This state is an adjustment. We have learned do our outside projects in the morning or in the evening when the sun starts to set. We have learned to expect quick and heavy tropical showers. We have learned that there are hordes of people who moved here from New York, New Jersey, and Michigan and yet everyone seems to adapt to the Southern way – polite and charming. 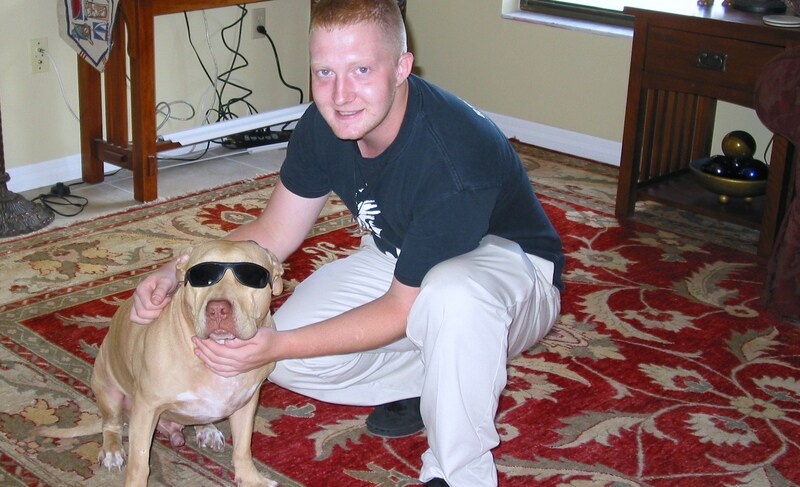 Most of all we have learned that sunglasses are a must! 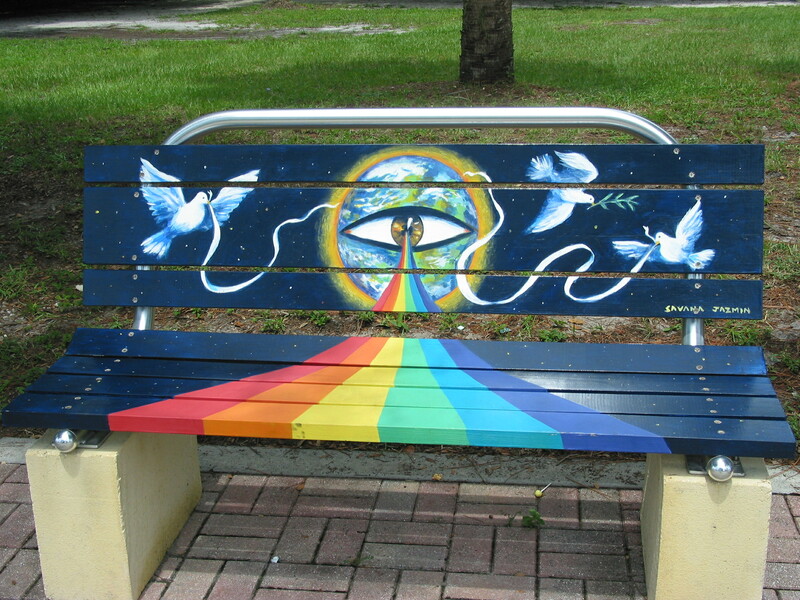 This entry was posted in Bob Wilson Photos, Florida, Retirement/Reinvention and tagged Easy Gardens for South Florida, Florida Top 10 Garden Guide, gardening, Nokomis, organic gardening, Pamela Crawford. Bookmark the permalink.